Modern Thin Money Clip For Men Sterling Silver by TheJewelryMaster at SCRHI. MPN: RE108-JM. Hurry! Limited time offer. Offer valid only while supplies last. Look no further for the best money clips. These stylish .925 Sterling Silver men's money clips are perfect and convenient for you to hold onto money. Look no further for the best money clips. 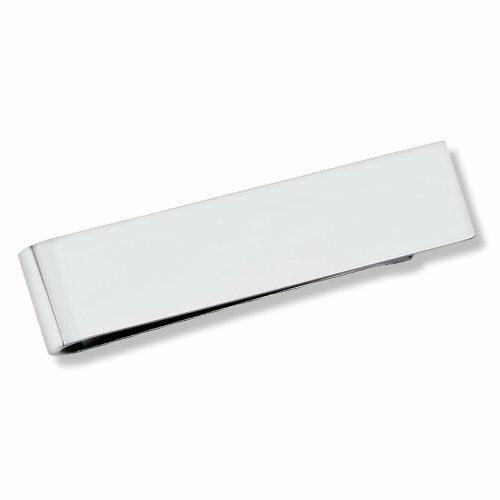 These stylish .925 Sterling Silver men's money clips are perfect and convenient for you to hold onto money. With a shiny finish, this money clip for men makes the perfect gift. Mix and match this engravable silver money clips with our other fine jewelry.